In 2016 there were 174,624 children in 10 countries gathering over 1.7 Million Green Footprints, Grüne Meilen, Klimameilen, Groene Voetstappen, Miglia Verdi, Klimaschritte, etc. Please have a look at the menu bar on the left, where you find results, pictures and reports by countries. 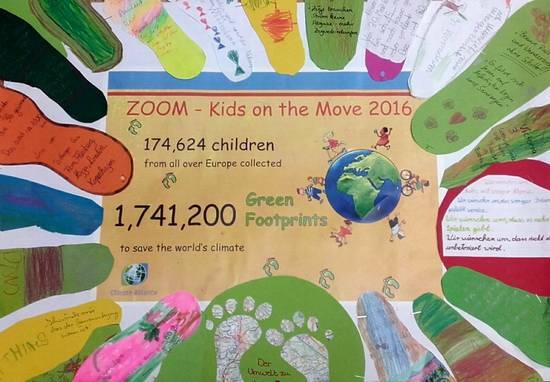 The ZOOM Report 2016 illustrates with many photographs and short reports in English and in the participating countries' languages what special actions the ZOOM-Kids all over Europe did this year to demonstrate their strong will to save our One World's Climate. 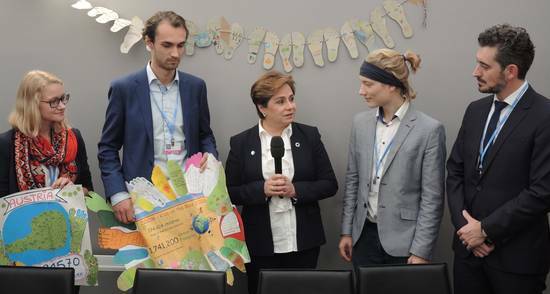 On Monday 14 November 2016 Climate Alliance presented the climate protection efforts of almost 175,000 children spread over 10 countries to the new UNFCCC Executive Secretary Patricia Espinosa. 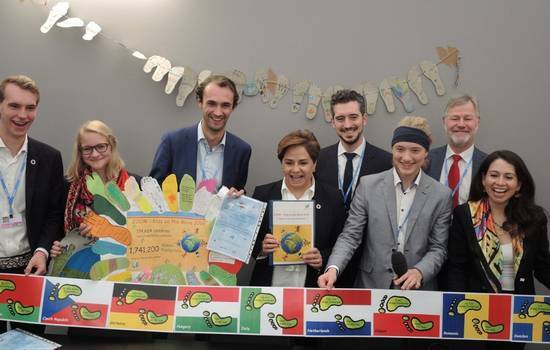 In 2016, children from Austria, Belarus, Czech Republic, Germany, Hungary, Italy, Netherlands, Poland, Romania and Sweden earned a minimum of 1,741,200 Green Footprints by making climate-friendly trips to school, saving energy in their classrooms, eating regional foods and choosing notebooks made with recycled paper (due to the early date of the Summit, results from Swedish children couldn't be summed up in time). 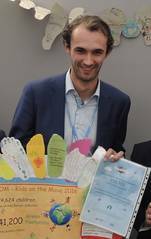 Markus Hafner-Auinger, Director of Climate Alliance Austria, in the company of UN Youth Delegates and local as well as national representatives of participating ZOOM countries, personally presented the green footprints along with the children's concrete wishes and demands to Ms Espinosa. In doing so, Hafner-Auinger asked Executive Secretary Espinosa to deliver these messages to the delegates of the conference. 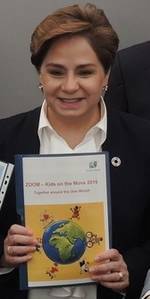 Especially prominent this year amongst the children’s demands was urging the UN Climate Conference participants to implement the Paris Agreement. 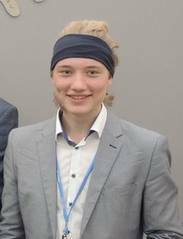 Messages sent by many of the older children highlighted the understanding that they will have to pay for today’s weak regulations, as will their own children in the future. In order to underline that this demand is a main request of all ZOOM participants, no matter what country they're from, Hafner-Auinger brought a fan-folded banner showing the flags with the numbers of kids and Green Footprints results by countries. The clear message of all these wishes to politicians and legislators is: Act now to save our climate! 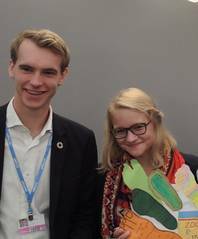 Climate Alliance got assistance by UN Youth Delegates from Austria and the Netherlands as well as by Helmut Hojesky from the Austrian Ministry for the Environment and Adriana Valenzuela who is coordinating all kind of youth events at the Climate Conference.